English lessons with a difference! Anchor Creative Education explore the English curriculum through drama activities, games and our original grammar songs. A Creative Literacy Partnership consists of an Anchor SPaG Drama Day every week of the school year! Transform your school’s approach to the English curriculum! A SPaG Drama Day consists of a SPaG singing assembly followed by a day of targeted English-based drama sessions with the classes and SPaG theme of your choice. 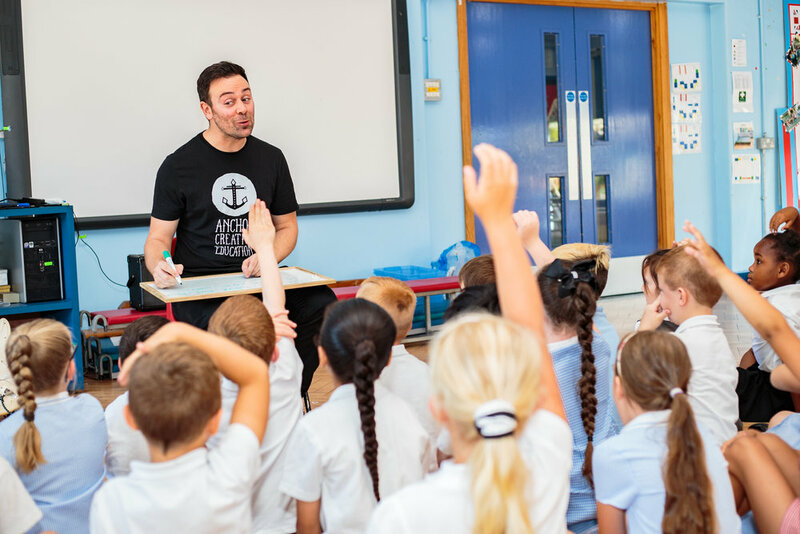 Read the testimonials from teachers in our Creative Literacy Partnership schools as well as teachers whose schools have enjoyed a SPaG Drama Day.